Whenever I visit The San Francisco Bay Area, aside from seeing my family, I always make time for my best friend from college, Bat Pat. I’ve known her since I was a teenager. Back in those days, the Seventies, we shared many a Lame Adventure and for me, many firsts. My first memorable first with Bat Pat is eating my first lobster at a restaurant in Ghirardelli Square called the Hungry Tiger. This adventure turned into me eating two lobsters, or possibly the first one run under the tap and reheated. When I tried to crack my first lobster I dipped my less than nimble fingers into the butter sauce, and created a mini oil slick. My red-shelled crustacean went flying and crash-landed under our table. Upon reflection decades later, many free-flowing glasses of Chardonnay might have also contributed to that situation. Now, I hold my liquor better, and my food, the little my gastroenterologist allows me to eat at this stage in my decay, remains in place — at least on the plate. 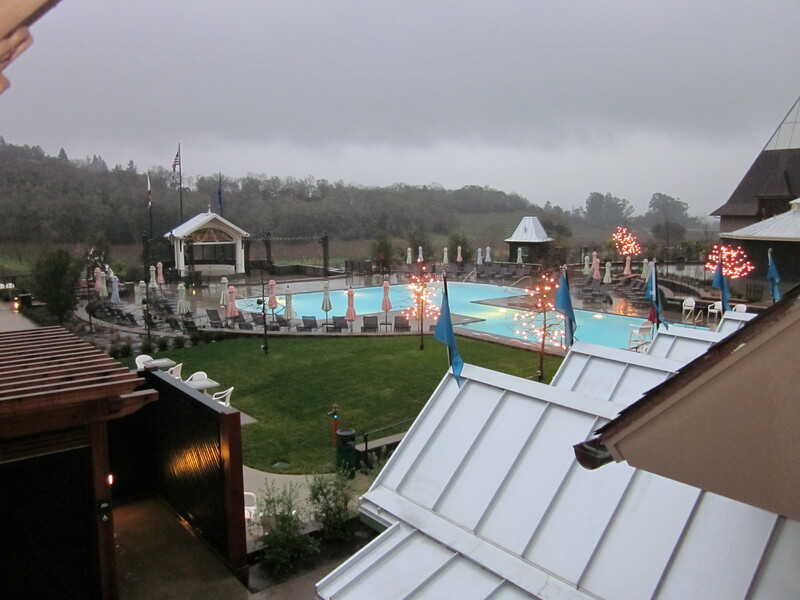 On a very rainy Tuesday in late December 2010, Bat Pat and I embarked on our latest Lame Adventure when we visited Francis Ford Coppola’s Sonoma County winery located in Geyserville. 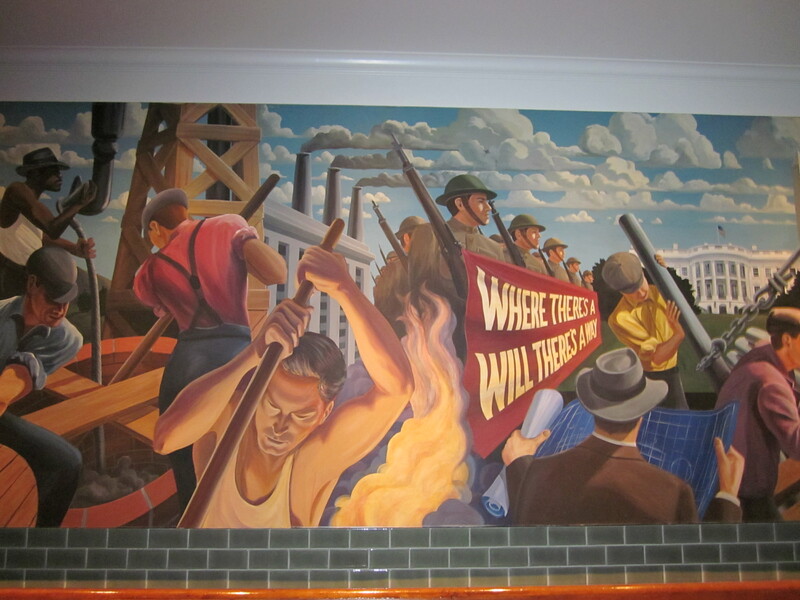 Check out WPA-style mural designed by Alex Tavoularis and Dean Tavoularis, painted by Paul Swendsen for Coppola's film Tucker: The Man and his Dream. 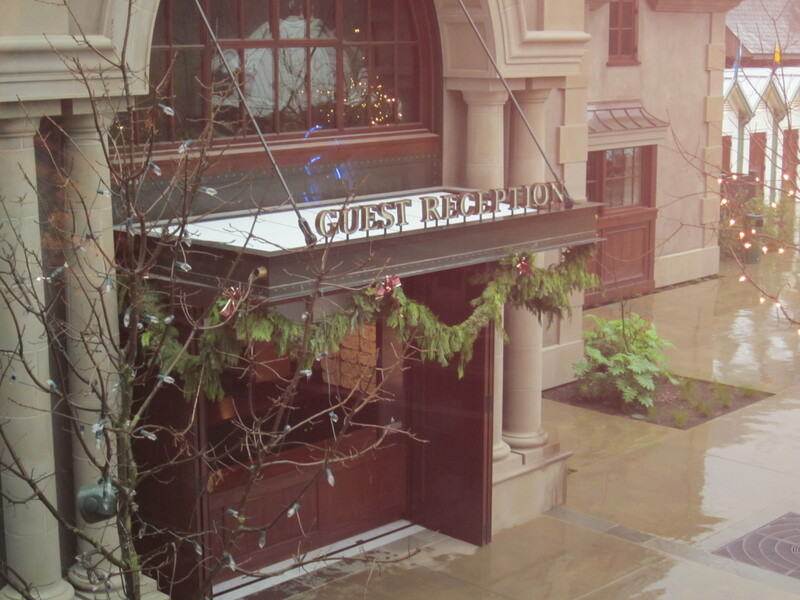 As any lover of Coppola’s film, The Godfather, might expect, this is an epic production. The facility opened last July. 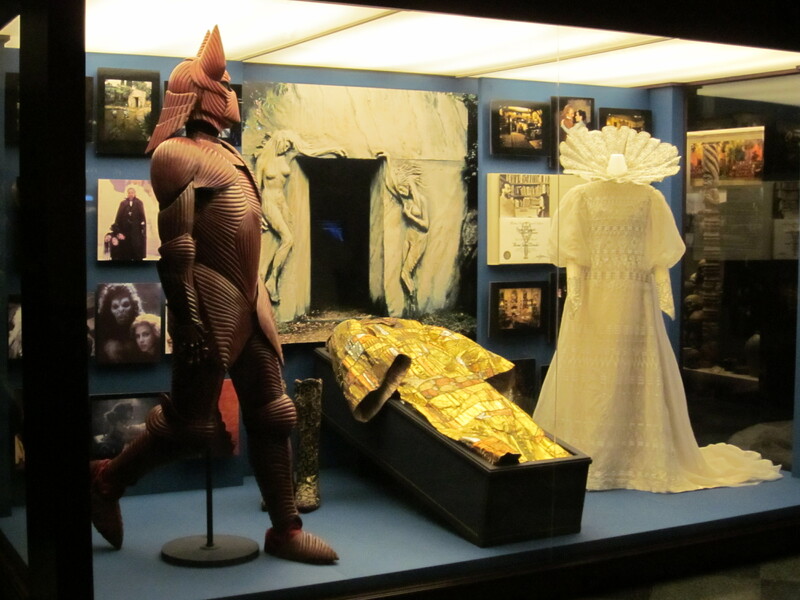 The wine tour is essentially a tasting, followed by several ooh and ahh moments while recognizing the many familiar movie props peppered throughout, as well as stops by the movie memorabilia display cases followed by a brief visit to the bottling plant. 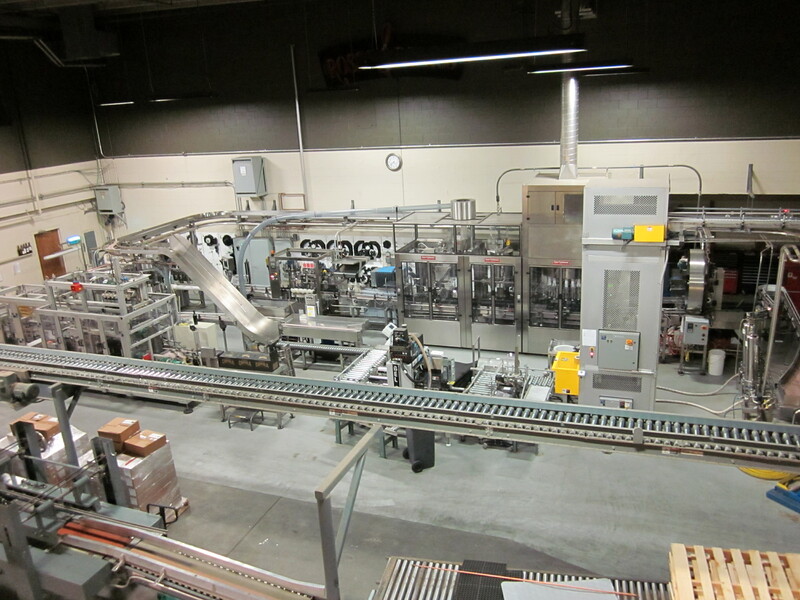 Gleaming stainless steel bottling plant. 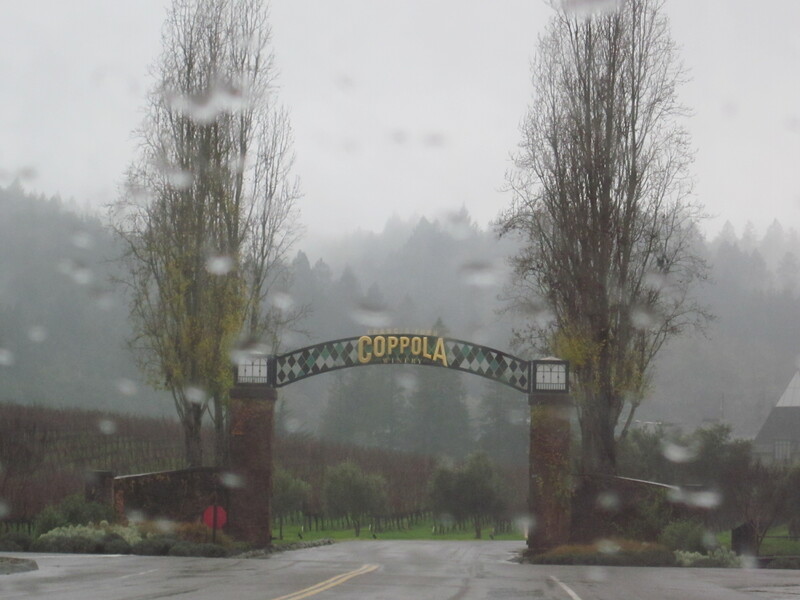 Apparently, Coppola wines use grapes from neighboring Alexander Valley vineyards, so if you want the full wine tour experience where you’re walking through miles and miles of cellars past stacks of oak barrels, you will not see that site here. 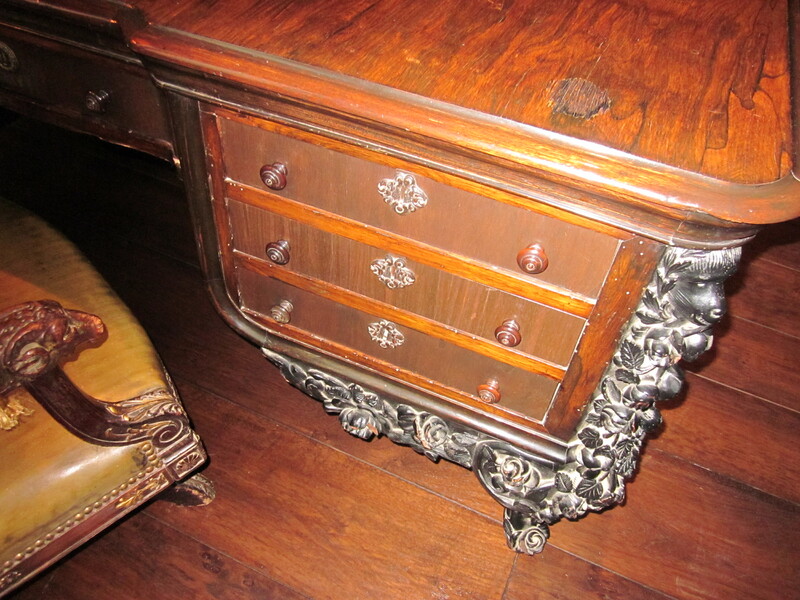 Yet, if you want to see the desk that Marlon Brando sat at then he played Don Corleone, as he stroked a kitten and listened to a distraught father’s woes, this is the place to visit. 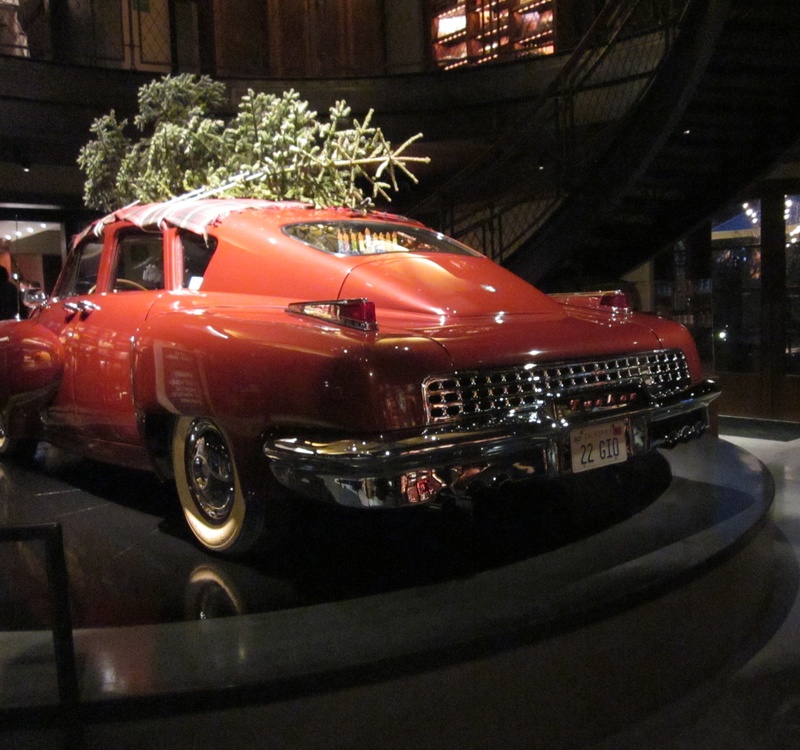 If you’d like to ogle Coppola’s Tucker Torpedo car decorated for Christmas, just travel down a short flight of stairs. If, as you drool over the car, you realize that you’re hungry, Francis has built a very nice (what else?) Italian restaurant on the premises he calls Rustic. 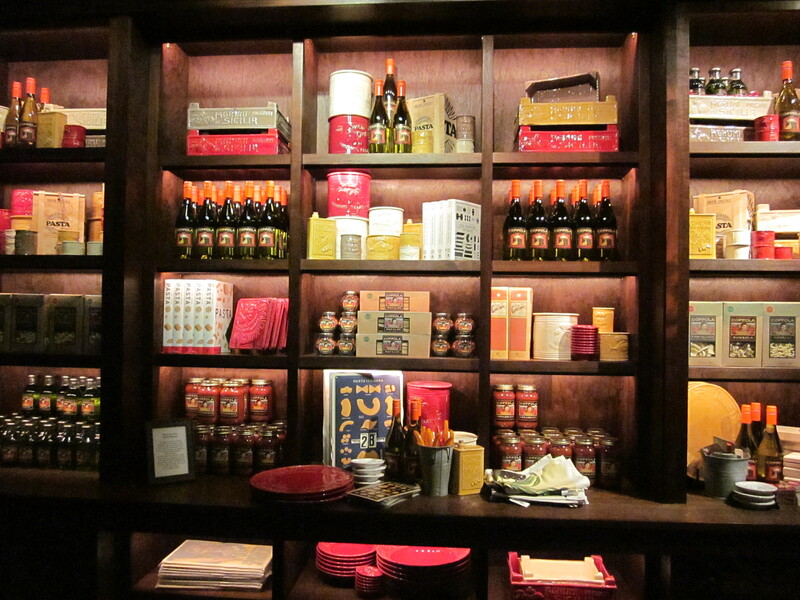 It’s decorated with his extensive olive oil can collection. 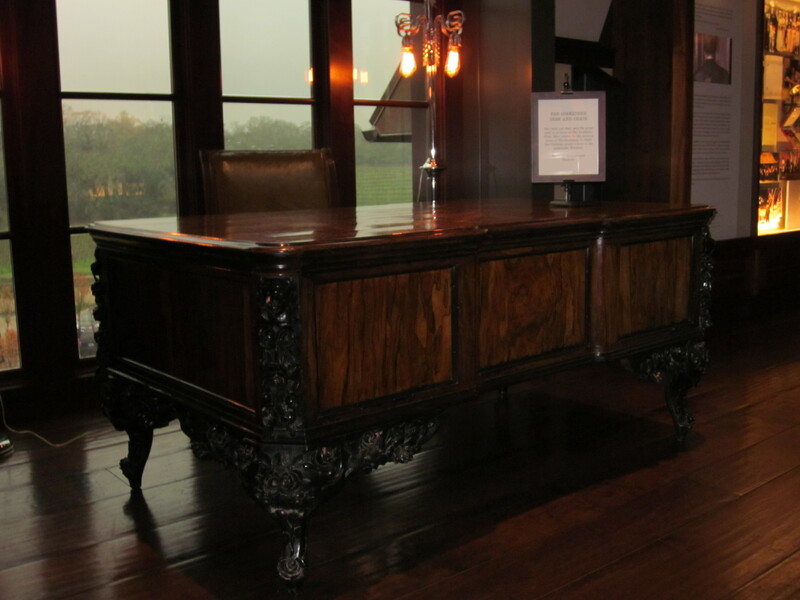 The desk from the iconic film that financed this venture. 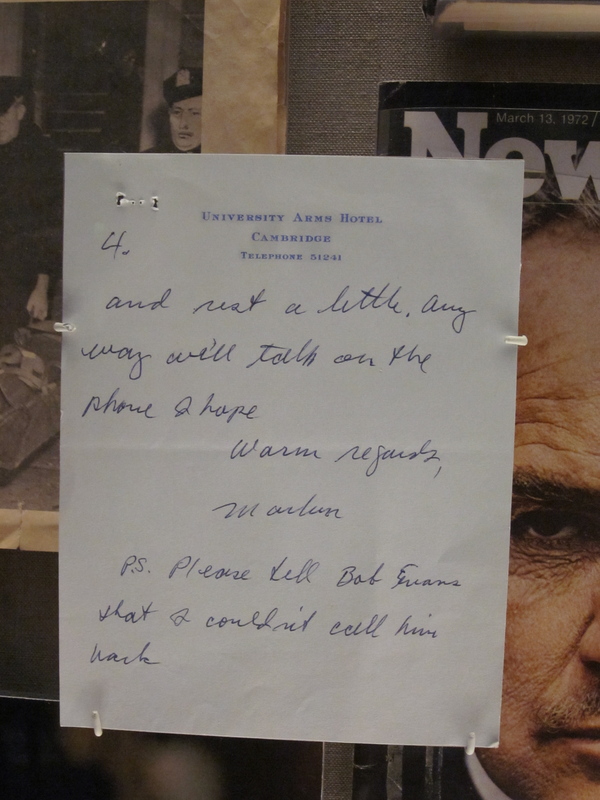 Page 4 of personal note from Marlon Brando to Francis; no idea what he said in pages 1-3 but it's likely that Sacheen Littlefeather was not on Marlon's mind at that moment as he was competing hard for the role. 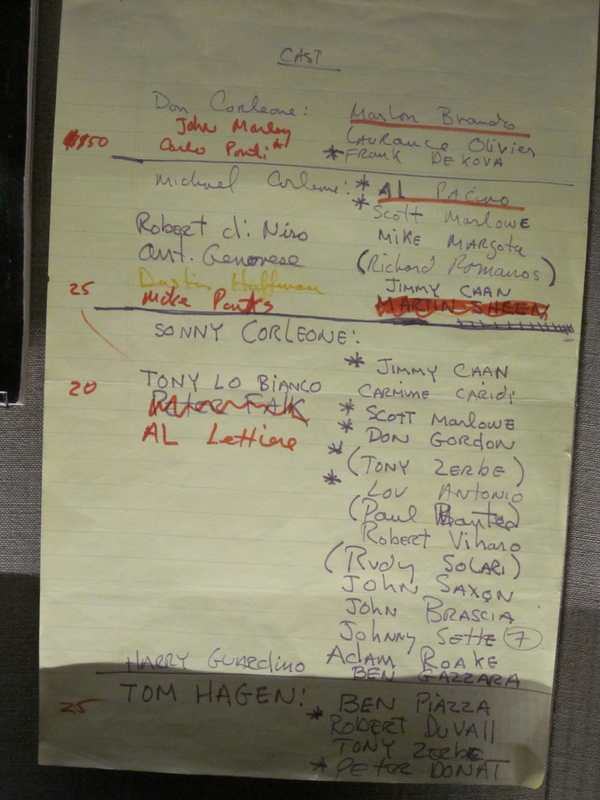 Godfather cast list. F Troop fans will notice that Frank DeKova was third choice to play Don Corleone under Brando and Laurence Olivier. Asterisk might be Francis's way of saying, "I will kill myself if I have to cast Chief Wild Eagle." 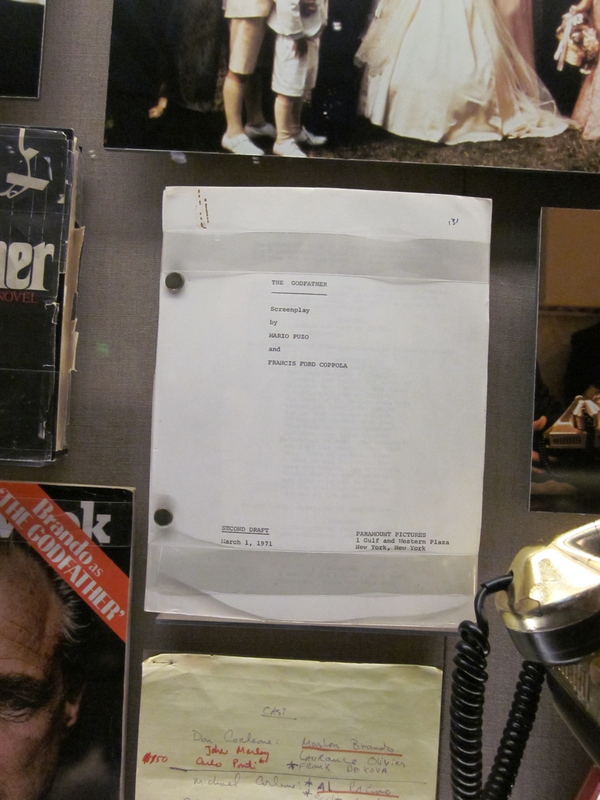 Second draft of Godfather screenplay. 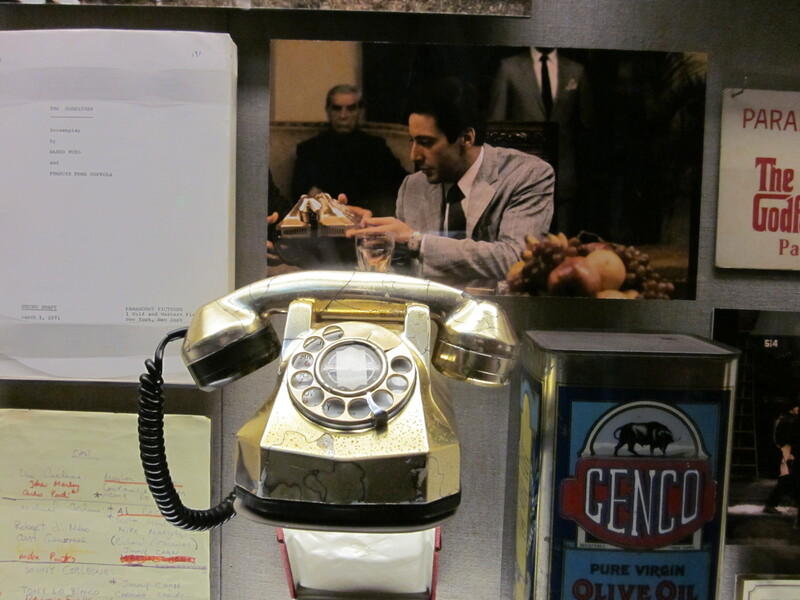 Michael Corleone's shiny phone that he used while wearing his shiny suits. 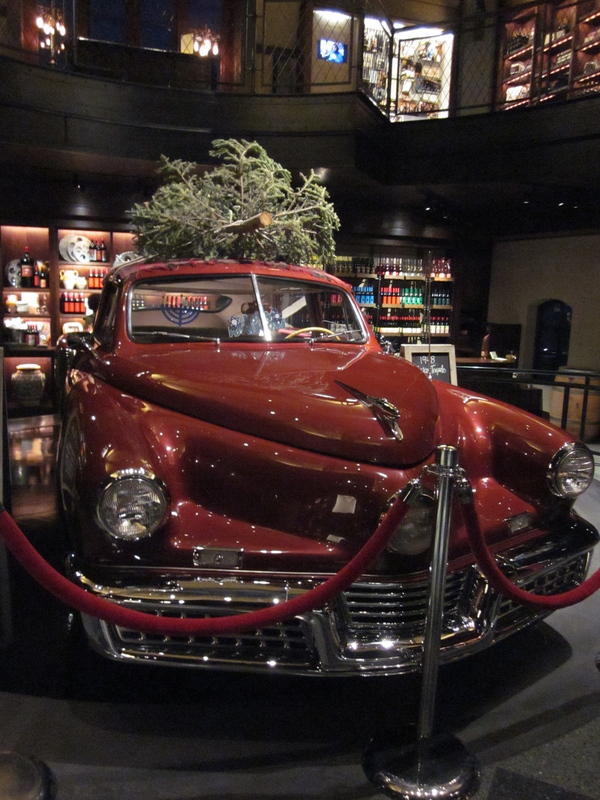 Coppola's Tucker Torpedo dressed for Christmas with a Menorah inside -- next year Kwanzaa, too? Tucker side-angle. Note: personal license plate 22 Gio is tribute to Coppola's son Gian-Carlo who was killed in a boating accident at age 22. Dracula costumes on display enroute to restaurant, Rustic. 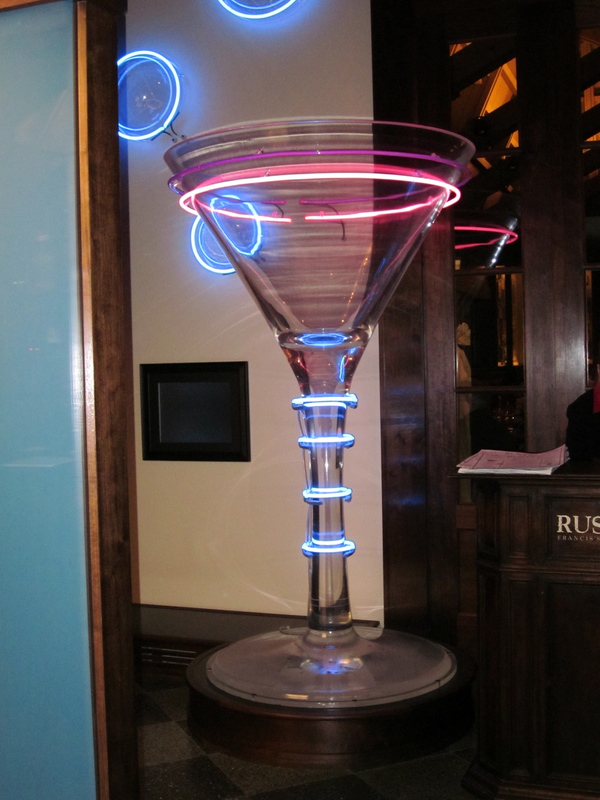 Cocktail glass that held Nastassja Kinski in Coppola's One From the Heart outside the restaurant, Rustic. 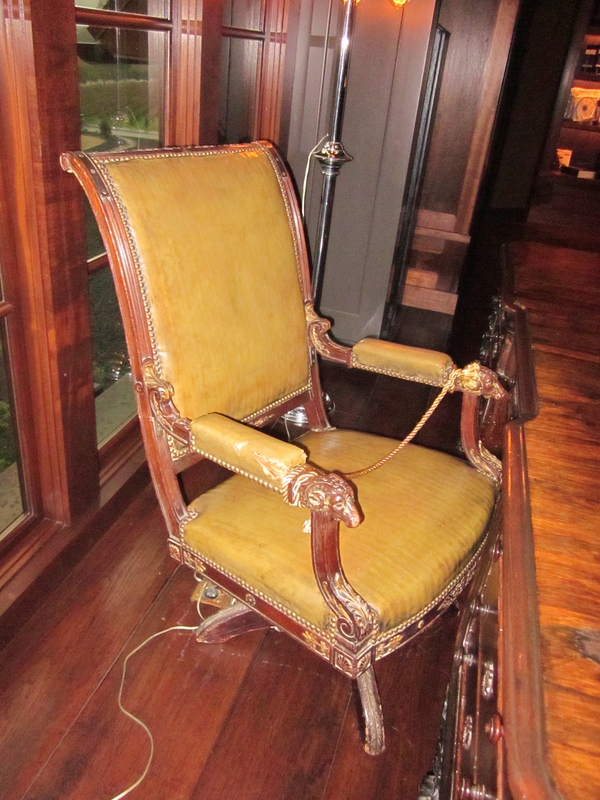 Note: the hostess informed us that I was the first person to know what film this prop was from. Thrilled, I asked, "Does this mean I get a free glass of wine?" No. 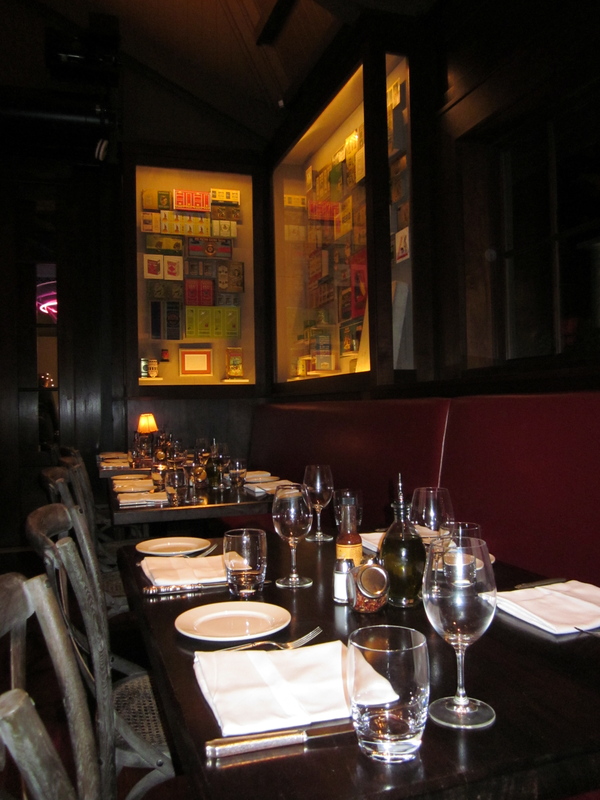 Inside olive oil can decorated Rustic, where the food is very fresh and well prepared under Francis's specifications. 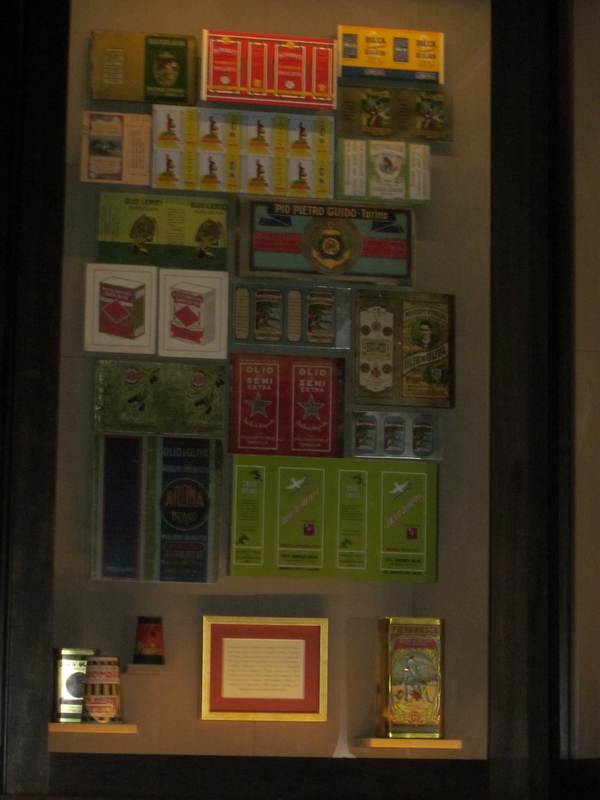 Closer view of olive oil cans from Francis's collection of 4000. 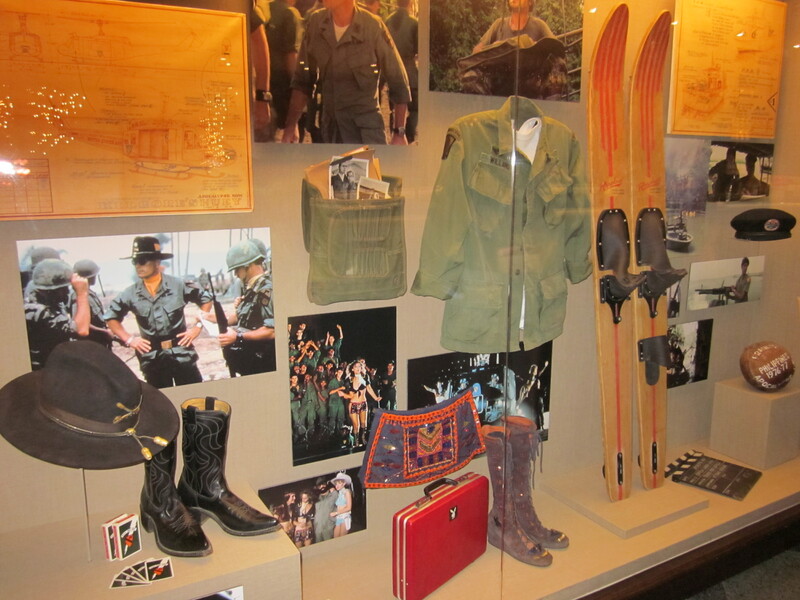 Apocalypse Now props and costumes. 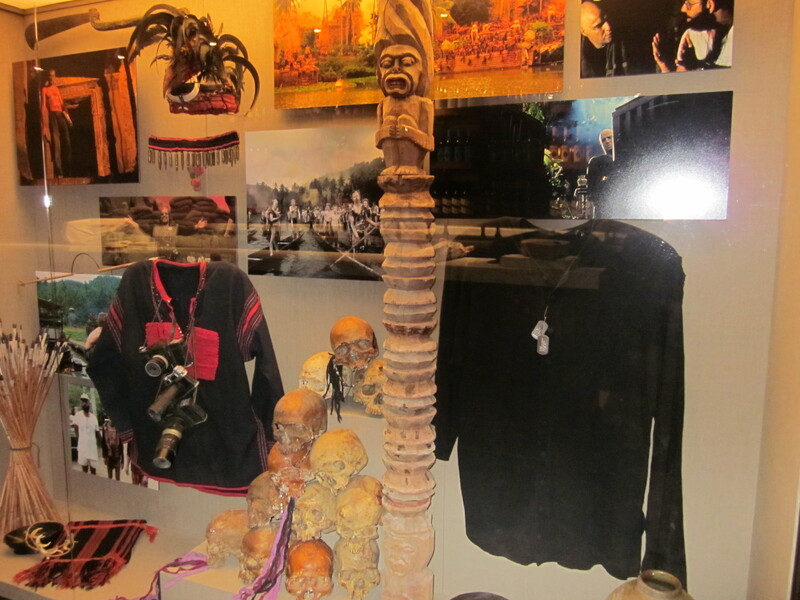 More Apocalypse Now props and costumes. 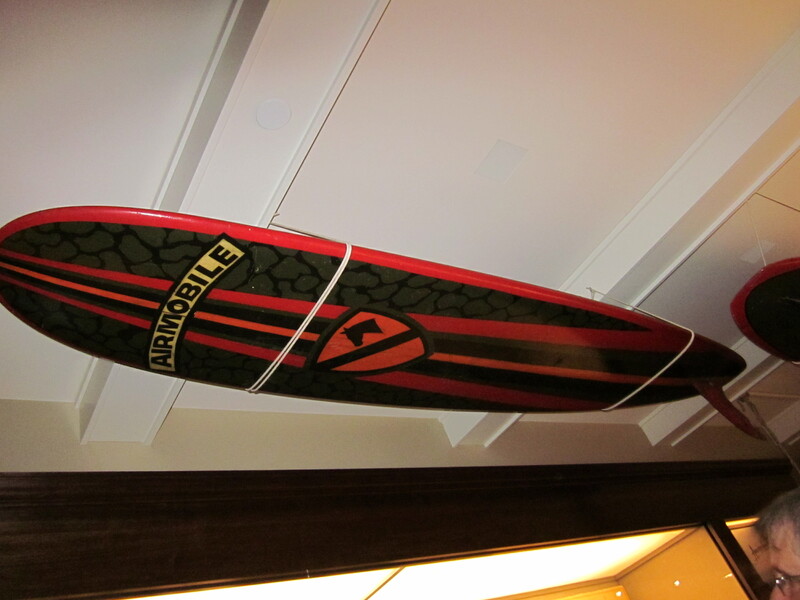 Apocalypse Now surf board suspended from ceiling. In summer when temperatures can climb over 100 degrees, kids can play in the swimming pool, as their parents lounge nearby enjoying the mini cafe. Not a day for swimming. I was not sure if Neil, our tour guide, was joking or serious when he said that Francis was thinking about having smoothie tastings for the small fry, but this entire facility is so well designed, it seems possible. For anyone interested in film design, Coppola’s frequent collaborator, the production designer, Dean Tavoularis, also creates the labels for the reserve wine bottles, no doubt to Francis’s specifications. The posters are available for sale, $450 unsigned; $900 signed. We contented ourselves with taking a photograph. 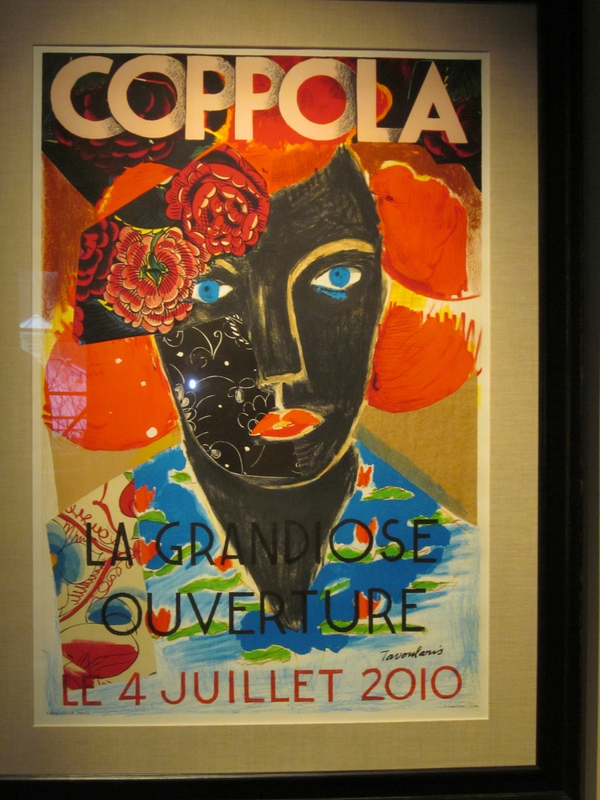 2010 reserve wine label poster designed by Dean Tavoularis. 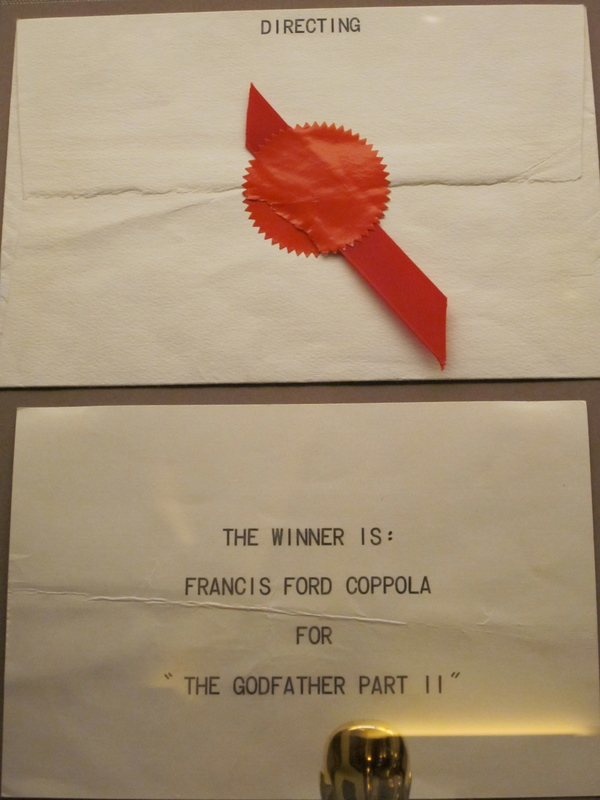 This entry was posted in Humor and tagged apocalypse now, coppola winery, dean tavoularis, dracula, francis ford coppola, geyserville, movie memorabilia, sonoma county, the godfather, tucker car. Bookmark the permalink. AWESOME! Francis Ford Coppola’s passion for pure auteur cinema is majestic and beautiful to see in this era of fast-food films. 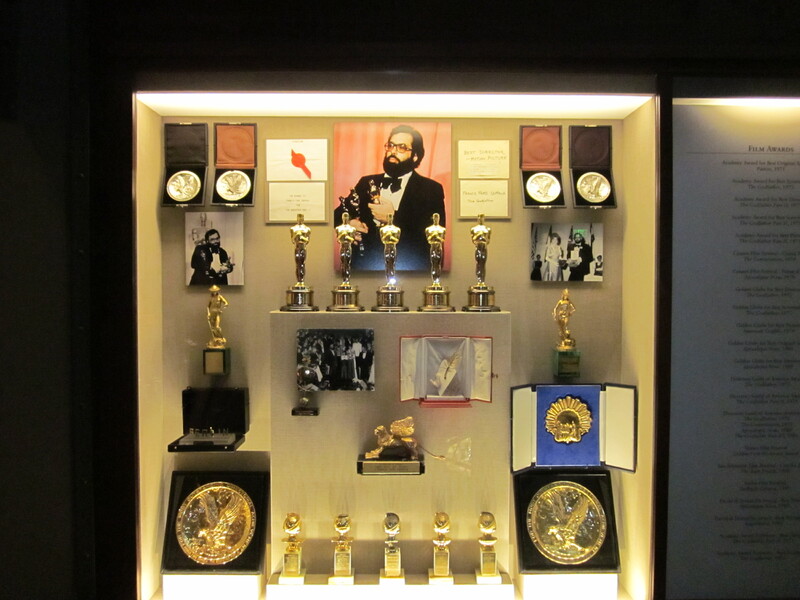 I doubt any director has had as good a DECADE of directing as Coppola in the 1970’s and I look forward to the new treasures he will unearth now that he is in complete control of not just his stories, but also the financing that’s to his business savvy! Coppola has written and is currently directing a thriller starring Val Kilmer called Twixt Now and Sunrise that is supposed to be released sometime in 2011.